Scribble down all your notes with the stylish Vitoria S pen! This plunger action pen features a colored rubber grip and a chrome trim. Choose from a variety of color options and create a look that's ideal for your organization's custom advertising needs. 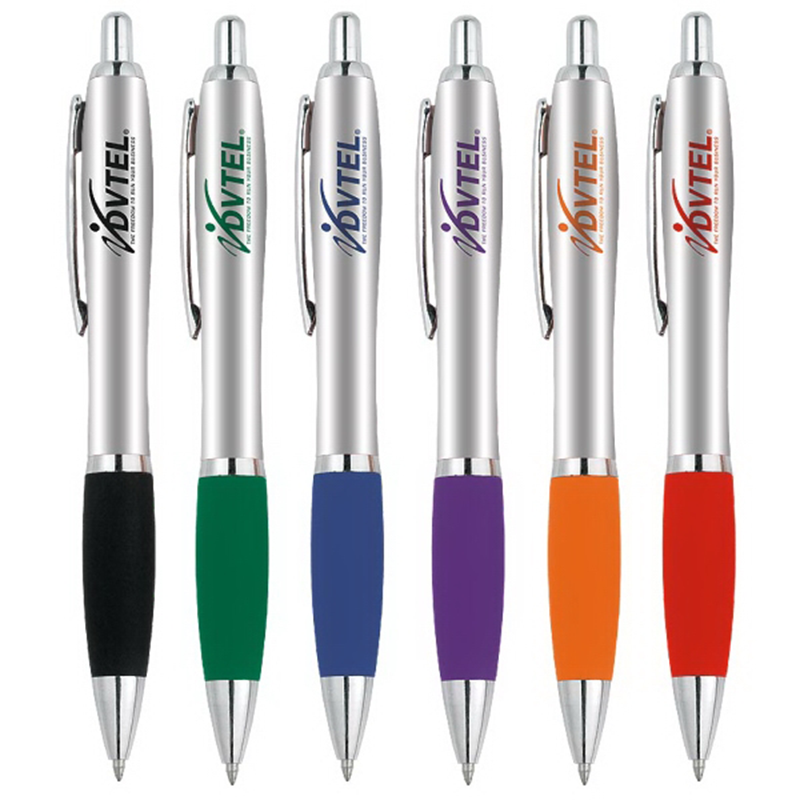 Add a custom imprint of your organization's name, logo and advertising message to complete the promotional look. No matter what kind of event you're planning for, you can't go wrong adding the Vitoria S pen to your promotional lineup!